Battlefield 1 narrows focus in the latest rotating, experimental game mode. 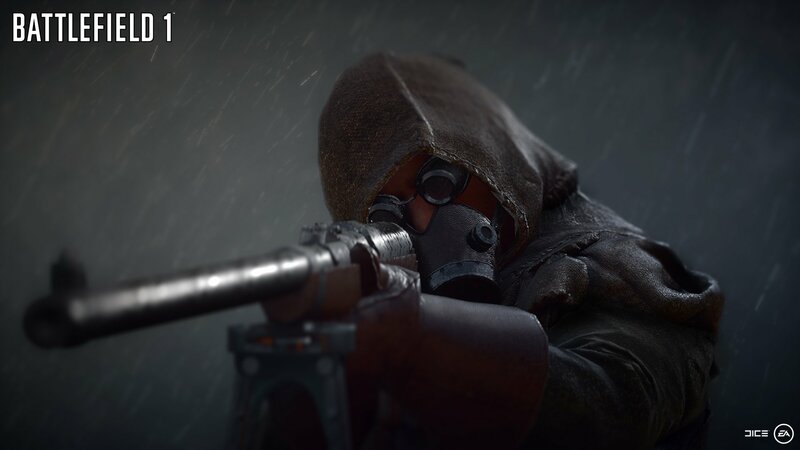 Battlefield 1‘s first custom game, Fog of War, will be replaced with a new mode called Line of Sight this week. A variant of base Battlefield 1 mode Rush, Line of Sight is populated by Medics and Scouts only. All Scouts deal double bullet damage, so Medics will have to be on their toes. DICE announced the mode on the Battlefield website today as it outlined Battlefield 1’s immediate road map. The next major stop is the arrival of December’s free map, Giant’s Shadow, which is set in 1918 during the Battle of the Selle. The first Battlefield 1 expansion, They Shall Not Pass, is due in March 2017. In the interim, expect new Battlefield 1 custom games and other events; DICE hinted as much last time it gave us a Battlefield 1 roadmap outline. We can expect Battlefield 1 support to continue for quite some time, as EA has said there won’t be a new Battlefield game for a few years. Battlefield 1 looks likely to go down as this year’s biggest shooter release, despite competition from Titanfall 2 and Destiny: Rise of Iron. Stay tuned for year-end charts in January for the verdict.